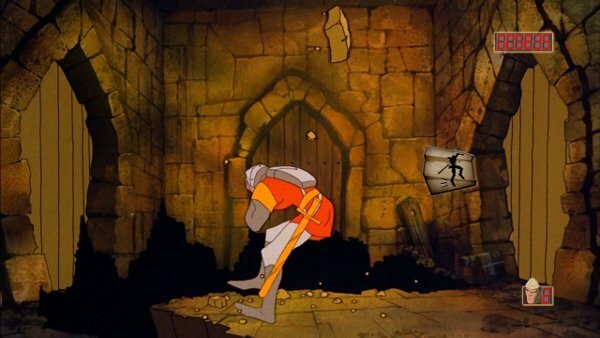 The 1983 laserdisc classic Dragon's Lair is coming to Xbox LIVE Arcade. That much we knew. What has us excited is that it'll come with a new control scheme, one that relies not on well-timed button mashing, but well-timed body flailing. That's right, whenever it does make its way to virtual shelves, the updated playable cartoon will sport Kinect support. Now, instead of making sure you press the button (yes, the one and only button) or flick the joystick in the right direction, you can mime sword swipes and swing from imaginary ropes. We can hardly wait. One more screen shot after the break.